On June 20, 2017 there were special events in Havana linked to the centenary of the death of Dynamite Johnny O'Brien. At 9:30 a.m. a wreath was laid at the plaque honoring O'Brien on the Avenida del Puerto near the entrance of the Plaza de Armas. Four of his direct descendants from the US took part. After that we went to the provincial library on the Plaza de Armas where First Lady Michelle Obama had donated a bench and two thriving plants. As part of its community outreach with students, the library inaugurated an exhibit about O'Brien. Staff and students described the local history program. Irish traditional music was played by two accomplished Cubans. Excerpts were shown from "A Captain Unafraid", a new film made by a young Irishman from Killarney, Charles O'Brien (no relation). The film premiered at the European Film Festival in Havana on June 3d sponsored by the Embassy of Ireland. O'Brien evaded efforts by Spain, the US and Pinkerton detectives to arrest, capture or kill him. He successfully commanded what Granma has described as the sole engagement of the Mambisi navy near Cienfuegos. http://www.granma.cu/cuba/2016-12-19/aniversario-120-del-unico-combate-naval-mambi-19-12-2016-22-12-11O'Brien's heroism was so appreciated that he became Havana's first port captain after Cuba achieved its independence through a special act of the legislature. He was also forgiven his transgressions by the US government and took part in the resinking of the Maine outside of Cuban. waters. President Trump's strategy to reinforce his base, perhaps with an eye on his serious legal problems, led to outrageous rhetorical excess in Miami. The larger perspective on national interest of Secretary of State Tillerson was thrown under the guagua. However the actions taken so far by the Administration are largely symbolic, with the exception of one that defies both the President's own expressed values and common sense, the elimination of the individual general license. Does that contradiction reflect that the game is far from over, even within Donald Trump and his Administration and certainly with Congress? The bottom line is that the main channels of travel have not been cut so far: group tours on general licenses, commercial air flights, cruises, remittances, and the protected status of Cuban Americans. Existing commitments are grandfathered for individuals and for companies. I say "so far" because the actual regulations when they are issued may try to slip in further bureaucratic roll backs. Two other major policy roll backs were not made: restoration of the state sponsor of terrorism listing and of wet foot/dry foot migration rules. The biggest uncertainty is the impact of the bar on "direct transactions with entities related to the Cuban military, intelligence, or security services". The presumed target are companies related to the military linked holding company GAESA, including hotels and presumably bus services. But is a contract with Havanatur that includes a Gaviota hotel a "direct transaction"? If GAESA sells or transfers companies and properties used by Americans to a state company under the Ministry of Tourism, will it escape US strictures? What if Habaguanex hotels and restaurants in Old Havana are returned to the Office of the Historian Eusebeo Leal? "Individual Americans can travel to #Cuba under Support for the Cuban people category but must use privately owned lodging like AirBnB"
1) The White House in its briefing claimed that its "guiding principle" was to "have the benefits of any economic commerce with the United States go to the Cuban people" and to "steer money away from the Cuban military and towards the Cuban people". However the new policy eliminates the primary channel that does exactly that at a significantly lower cost for a greater diversity of Americans, i.e. individual, family and small group self-directed travelers who stay in bed and breakfasts, eat in private restaurants and depend on taxis and other public transportation. 2) It says that group tours are permitted but aspires to forbid use of military holding company linked hotels that provide housing for many groups. 3) While permitting continuing activity by Airbnb and commercial airlines, it eviscerates their market by ending the individual general license. 4) It postures that participation in a guided tour managed and supervised by Cuban authorities is more authentically people to people than a self-organized visit by individuals, families and friends with inherently greater spontaneity, showing colossal distrust of the American people and the Cubans with whom they naturally engage. 5) The Administration claims to seek to "empower the Cuban people" but does just the opposite by depriving them of unregulated resources from independent travelers and giving greater leverage to security services. 6) The harsh rhetoric of the President, reflects only the self-delusional beliefs of the old guard Miami minority. It will be welcome relief over the more subtle challenge of Obama's initiatives for Cuban hard-liners who believe political and economic controls are essential to protect the country from US political interference and economic dominance. 7) It appears that in the short term the President has accommodated to old guard hard liners whose real objective is to limit the number and variety of Americans that form their own conclusions about Cuba and the wisdom of the embargo. Ending individual travel returns Cuba largely to the realm of Americans who can afford group tours. 8) The alternative universe of the hard liners and now of the Administration was manifested in the White House briefing: "the Cuban regime will see this as an opportunity for them to implement the reforms that they paid lip service to a couple of years ago, but that have not in any way been implemented to the benefit of the Cuban people." While reforms are slower and narrower than many Cubans desire, they are inescapably present. I have posted the comments of three friends who frequently meet with US visitors who appreciate their independent experienced perspective: Carlos Alzugaray, Rafael Hernandez and Jose Viera.. Turns out the supposedly big reversal of President Obama’s engagement policy – instigated by Cuban-Americans Sen. Marco Rubio and Rep. Lincoln Diaz-Balart – exempts the airline and cruise ship industries, which stood to lose $3.5 billion from a rollback of Treasury Department regulations that allow them to add Cuba ports of call to their Caribbean itineraries. Just don’t call cruising “tourism.” Don’t sit on the beach. But sail away to the otherwise forbidden island! It’s the only clear part of the Trump-Rubio-Diaz-Balart travel policy outlined in an eight-page directive obtained by the Miami Herald. Trump and his posse of hard-line helpers ended the real people-to-people engagement – that of independent American travelers who stay in Airbnb homes and apartments or casas particulares, dine in private paladares all over the island, visit independent artists and cuentapropistas on their own, and get to know Cubans one on one. This, to force Americans to travel in groups organized by tour operators or organizations approved by the Treasury Department. The policy seems to work against the stated purpose of restricting the flow of money to the Cuban military, which owns 60 percent of the state-run tourism through its GAESA enterprise. When you require travelers to go through tour companies, you’re sending the business to state-run hotels and state-run institutions. I don’t see value other than handing over a Cuba travel monopoly to U.S. tour operators. You can also tell policymakers haven’t studied the itineraries of travel operators and organizations. 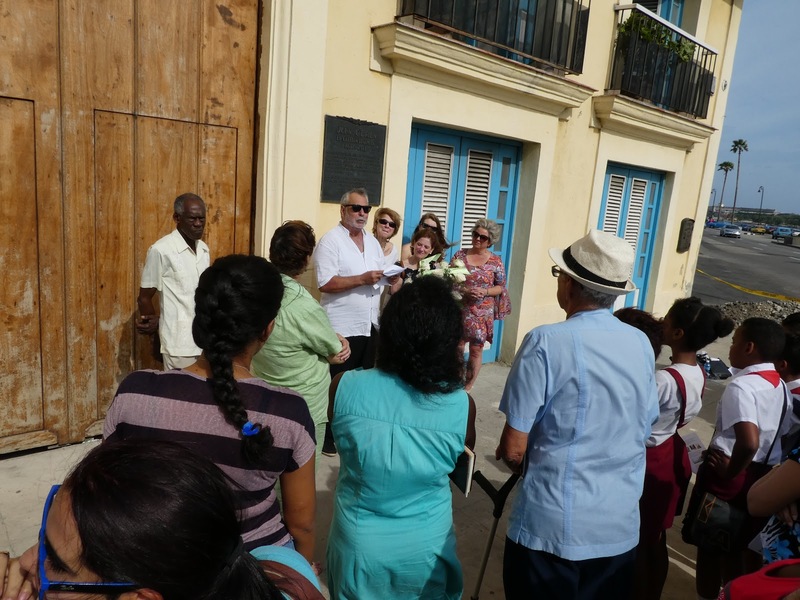 They take people to state institutions, visit official touristy areas, use official tour guides, and carry on cultural exchanges with Cubans who are state-approved. And they can’t supervise their travelers around the clock to make sure nobody runs off to sit on the beach or dip their feet in enemy water. Such control might help streamline the Big Brother work of the Treasury Department, which will audit itineraries from now on instead on relying on the Obama-era honor system that allowed people more open engagement under the 12 categories of permitted travel. And it might help with our trusty Homeland Security at the airport when they question you on arrival... and maybe test your toes for any trace of salt. This policy is window dressing, a way for Trump to save face with Bay of Pigs veterans and his Cuban-American supporters, to whom he promised “a better deal” than President Obama’s. There’s no reversal of Obama’s restoration of relations and engagement policy. President Trump’s fake indignation with his predecessor’s Cuba policy didn’t go anywhere. He even kept in place the controversial rum & cigar policy. You can’t swim but you can smoke and drink – and bring back with you all you can carry. Like his failure to improve healthcare, Trump’s clumsy political maneuver doesn’t address the laundry list of real issues. It’s not an improvement. Trump added bureaucracy and confusing regulation (so un-Republican) to Obama’s clever but imperfect American invasion. He rewarded Rubio and Diaz-Balart for their support in troubled times – and called it new Cuba policy. The Trump camp insists that this document is supposed to encourage the Cuban people to take over the economy and clamor for political change, while the prohibition to do business with GAESA “boxes in” the regime. Just like magic, and because Trump says so, political prisoners will be freed, free and fair elections will be held and wealth will rise. But it’s hardly inspiring democracy and setting an example on human rights when a president takes away from Americans their prized right to travel independently. We don't always agree, but this column is spot on. There are times when one is tempted to believe that Sen. Rubio et. al. are in cahoots with Havana hard liners. Or so consumed by well-rewarded hatred that they can't acknowledge the counterproductive consequences of their policies. Their fixation on GAESA is odd unless the real driving principle is to take down a potential competitor. Raul sent bright young officers to learn about management in capitalist Europe during the Special Period. Then they had to show a profit to keep their jobs, sometimes in enterprises with overlapping markets. Like any successful conglomerate there is a tendency to overreach, most notably when Habaguanex was taken from the Historian's office. Ironically, it may have to be returned to escape Trump's strictures. Confirming he is not without feeling for the private sector, Rubio tweeted "Individual Americans can travel to #Cuba under Support for the Cuban people category but must use privately owned lodging like AirBnB"
No matter what the new policy is about, it is difficult to think of a political meeting and a speech whose content shows less regard for the sensitivities of Cubans. Even if everybody knows that it was conceived to please the more reactionary Cuban Americans, it shows a deep conviction that Cuba is nothing more than an appendix of Miami. There was no effort, not a single line, to express respect for Cuban history, for its independence or sovereignty. It completely showed that those who wrote it or influenced it do not think or care for the destiny of the 11 million Cubans who, at the end, will decide the future of that island. I could not believe the choice of the chief of the Santiago de Cuba police under Batista to question justice applied in 1959, and that his son was invited to play the American Anthem and only the American Anthem to end the program. What a complete disdain for the Cubans and for those killed by the Batista police all over Cuba from 1952 to 1959. It may look clever to choose the military as the target, but it is not. Of all the institutions created by the Revolution, probably the most prestigious one in the eyes of ordinary Cubans is the Rebel Army. In addition, the entrepreneurs in the Island will immediately see that less Americans coming will deeply and first of all affect them. In the fight for the minds of the Cubans, President Trump's speech will be a powerful tool to build a consensus around the Cuban Government and Party and to strengthen the legitimacy of their policies. It is impossible to measure the practical economic impact, but it will be big. They do not prohibit flights, but make it harder for the airlines or cruise ships to have passengers. Even with groups it will be difficult to select which hotel is blacklisted or not. Just the threat of a possible audit by the Treasury Department will create a serious concern to potential travelers. The Executive Memorandum already published is not enough to judge the negative consequences on bilateral relations. It will be necessary to wait for the new regulations from the different departments. I am sure the response of the Cuban Government will be serene but extremely firm, and, at the same time, that the path of reform goes on. I think that what we have to prove is that Cuba and the Cubans, can go on and forge a prosperous system with or without embargo. In other words, make the embargo irrelevant. It was a pathetic exercise in an attempt at turning back the wheels of history. Trump’s speech was transmitted live on Telesur and later at 8:30 pm at the end of the National News. Specially damaging for the purposes of Rubio, Díaz Balart, Trump and their cohorts was the histrionic performance of the violinist. It turns out that his father was one of the Batista police'smost brutal officers. He was the Chief of the Police in Santiago de Cuba at the height of the revolutionary struggle in that city. He was personally responsible for the murder of Frank País, one of the heroes of that period. The reaction in Havana since the speech has been anticlimactic. Let us see what the future brings. Trump’s new policy toward Cuba has had more forecasts than a disturbance in the Caribbean. Many were freaked out that these winds would recur, going back to December 16, 2014, and sweep away the deals with Obama. The furious of Miami announced a wave that would return us to the ice age of G.W. Bush, and the blacklist of terrorist countries. Most weather commentators were divided between pessimists and very pessimistic. For other minorities such as mine, that Trump could override Obama’s directive and ban commercial licenses with GAE companies, in addition to continuing with his chatter about human rights and freedoms, was in the cards. It was very unlikely, however, that, for its own interests, he would block cooperation in national security, travel or licenses, such as those granted to commercial airlines, and others (see my interview with Fabiola López, Telesur, June 12). Now that the disturbance has come out of the sea and entered the earth, we can measure how far the water has penetrated. In terms of visits, it has been downgraded, not to 2014, but to 2015-2016, when to come to Cuba based on people-to-people they had to do it in a group. FAR and MININT companies were blacklisted. Obama’s “Presidential Directive towards Cuba” was annulled. On human rights and blockade, we are where we already know. Most of the 22 signed agreements remain. No cooperation in security, embassies, rules for remittances, trips without limit for Cuban-Americans and Americans, end of wet-foot/dry-foot, talks about migration, environment, and other subjects, licenses to trade with Cuban non-state companies, academic and cultural exchanges, none of that which had been achieved with Obama has been destroyed. Despite its negative effect, the noise of this gust has been (and is) greater than the actual damage. There are several reasons for this. In Miami, the furious used it just to boast, for although they did not achieve any of their announced goals, the presidential declaration served for a political show-off. To the Cuban government, it allowed him to update his position before this presidency, using a very carefully calibrated dropper: we reject, but we do not fight, we remain ready to negotiate. To our friends, it encouraged them to reiterate their permanent solidarity. To Cubans, it reminded them of the old face of the US power that is not that of a smiling African American. To our non-enemies, partners, etc., it made them shake their heads at another awkwardness of this president, although not the worst of them all. It may be too early, perhaps, to estimate all the technical details of this damage. While the tide did not reach the forecasts, there is still uncertainty about licenses for telecoms or hotels, joint testing for cancer vaccines, dollar uses, and credit cards. On the other hand, however, neither freedom to travel nor free trade went to the bottom of the sea. Congress and the Supreme Court can throw them lifelines to stay afloat. As always, the interests generate political winds, which do not stop blowing, even after a cyclone.